Iteca Caspian has announced that it will open the season of international exhibitions in April, while 16 exhibitions and 1 conference are scheduled for 2017. The exhibitions will be held in Baku Expo Centre with the support of government industry agencies. Currently, active work is underway with potential participants of exhibitions 2017. 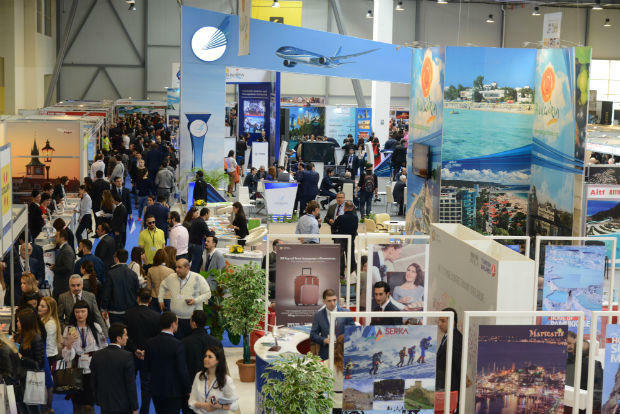 The exhibition season will open the 16thAzerbaijan International Travel and Tourism Fair AITF 2017 and the 11th Caucasus International Hospitality Exhibition Horex Caucasus 2017 on April 6. Since its inception, the AITF exhibition has been actively supported by the Culture and Tourism Ministry of Azerbaijan. The event is also supported by long-term participant - Azerbaijan Tourism Association (AzTA). International institutions such as the World Tourism Organisation (UNWTO) and the Pacific Asia Travel Association (PATA) are also among the supporters of the exhibition. As a next step, the baton will be passed to three transport exhibitions – the 16th Caspian International Transport, Transit and Logistics Exhibition Transcaspian/Translogistica, the 7th Caspian International Road Infrastructure and Public Transport Exhibition Road & Traffic, and the 4th Caspian International Boat and Yacht Show CIBS 2017 which will be held from April 26 to 28 in Baku Expo Center. Ipack Caspian 2017 which will be held from on May 17-19. As is tradition, the spring season will end with the region's largest trade fair - the 24th International Caspian Oil & Gas Exhibition (May 31 – June 3); the 24th International Caspian Oil & Gas Conference (June 1-2), which will be held in JW Marriott Absheron Baku Hotel, and the 7th Caspian International Power and Alternative Energy Exhibition Caspian Power 2017. The sponsor companies already include such businesses as Azeri M-I Drilling, AZFEN J.V., Baku Steel Company, BP, Caspian Drilling Company, Caspian Geophysical, Caspian Marine Services, Denton, Ernst&Young, Fluor, Global Energy, HBC Group, NB Qrup ASC, Nobel Upstream, RusNeft, Socar Polymer, Statoil, Tekfen Construction, Total Absheron. Among the partners of Iteca Caspian in 2017 are the tour operator Premier Tour, Caucas Point Hotel, the official hotel, and AzExpoMontage, the official stand builder. General Director of Iteca Caspian Farid Mammadov says that “the exhibition is not simply a commercial activity. People prefer to do business with people they know personally. In short, the exhibition connects people by providing a chance to open up new horizons, to find partners and to enter new markets. Our main task now is to provide additional opportunities within the exhibition for exhibitors and to find a more on point approach to specialized audiences”.